Who was Mariana Pineda? What did Mariana Pindeda do? Why is Mairana Pineda famous? We spoke to a local Granaina historian to discover more aboout Mariana Pineda and her relationship to Granada. One of the most emblematic figures in Spanish history was Mariana Pineda, who fought for the liberal movement of the 19th century and whose death has turned her into a legend. She was born on 1 September 1804 on Carrera del Darro, no. 9, to parents who came from different social classes. After the death of her father and the abandonment of her mother, she stayed there under the care of her uncle. When she was only 14 years old, she fell hopelessly in love with Manuel Peralta Valte, a retired and ill soldier, who she married the next year and who left her widowed with two children three years later. It was then when she started to become more involved with the fight against absolutism and Fernando VII. The next few years were marked with failed liberal love affairs and a multitude of protests rejecting absolutism. Secret meetings and collaborations with exiles and escaped prisoners made her the subject of large police vigilance, when political persecution was already an issue. 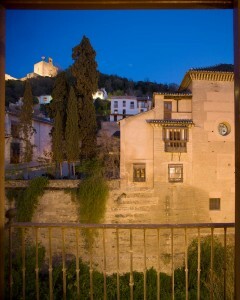 The importance of Mariana Pineda’s role and the majesty of her birth home, “House of the Pinedas,” have made it so that the home has been refurbished into a 4-star hotel, with special mention as a hotel-museum, to show the travellers a little bit of Spanish history and to transport them through a dream to the time of “the heroine of liberty,” to the time… of Mariana Pineda.